Fine needle aspiration biopsy, also called fine needle biopsy, is a test that allows doctors to obtain tissue to evaluate for the presence or absence of cancer. This procedure is most often performed when cancer is suspected in the breast, thyroid gland and lymph nodes of the groin, armpit and neck. Fine needle biopsies are less invasive than other diagnostic procedures, such as surgical biopsies or core biopsies. A fine needle aspiration takes only a few minutes and provides a sample of cells for laboratory workers (called cytopathologists) to study under a microscope. Oncologists may order a fine needle biopsy if an imaging scan shows a mass on the breast, thyroid or certain lymph nodes. Fine needle biopsies are not generally used when mesothelioma is suspected because more reliable, but more invasive biopsy methods are available such as a thoracoscopy. Mesothelioma may rarely be accidentally discovered when an oncologist orders a fine needle aspiration of lymph nodes in the armpit or neck. Fine needle biopsies are relatively simple. A doctor inserts a long, thin, hollow needle directly into the suspicious mass, then draws a small section of tissue through the needle. In some cases — such as when the tumor is not directly under the skin — doctors use imaging techniques to guide the needle. These imaging techniques are especially helpful when doctors attempt to diagnose thoracic cancers with a fine needle aspiration. The process is not painful, although some patients feel a slight prick when the needle is inserted into the skin. Many patients opt for numbing cream to prevent discomfort. Complications are extremely rare, but can include infection or bleeding at the insertion site. Fine needle aspirations are less likely than other biopsies to cause severe complications such as a collapsed lung. Most doctors can perform this procedure in their office. Patients can go home directly following the biopsy, and most patients receive their results within two or three days. Fine needle aspiration is not the go-to biopsy technique used to diagnose mesothelioma. The most accurate biopsy for mesothelioma is a thoracoscopy. A fine needle biopsy may accidentally discover mesothelioma, but this instance is rare. The diagnostic accuracy of fine needle aspirations for mesothelioma depends on several factors, including the size of the tissue sample and the type of mesothelioma cells present. Fine needle biopsies can rarely be definitive enough to officially diagnose malignant mesothelioma. However, most doctors order additional tests — such as a thoracoscopy — to determine the cell type and confirm the diagnosis. In some cases, cytopathologists extract molecules called RNA (ribonucleic acid) from fine needle biopsy samples. They then perform molecular tests on the RNA to further confirm an accurate mesothelioma diagnosis. Patients who take aspirin, Plavix, warfarin or another blood thinner should ask their doctor about discontinuing the medicine a few days before their fine needle aspiration. The advantages of a fine needle biopsy include simplicity and low cost. Because they are easy to perform, they may contribute to an earlier diagnosis, which is crucial in the treatment of mesothelioma and most other cancers. An early diagnosis typically gives a patient more treatment options and better results. A fine needle aspiration is used to detect breast cancer, allowing a doctor to remove cells from a suspicious lump in the breast. It is a quick way for a doctor to sample a lump that was felt during a clinical breast exam. The procedure is easier than the common core needle biopsy and reduces the chance of any infection or bruising. We can help you or a loved one get a diagnosis or a second opinion from a mesothelioma specialist. There are times when results from a fine needle biopsy are not conclusive with many cancers, even when a skilled specialist is involved. If the result clearly confirms the presence of cancer, a patient may not have to undergo more invasive diagnostic procedures. 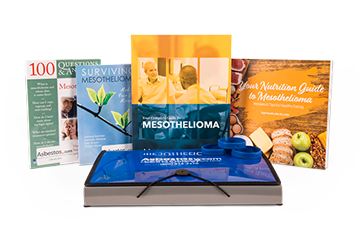 This may not be the case with mesothelioma because it is a rare and deadly cancer that requires total confirmation for optimal treatment. A nondefinitive result will be followed with a more aggressive biopsy. One study paired fine needle aspirations with genetically based molecular tests. The combination correctly identified 100 percent of malignant pleural mesothelioma cases. With certain cancers, doctors may be unable to make a definitive diagnosis from cell samples obtained in fine needle aspirations. While it is considered an important diagnostic tool, a fine needle aspiration may limit the preoperative evaluation of cancer patients. A 2013 study published in the journal Endocrine Practice showed just 45.7 percent of 245 patients with medullary thyroid cancer received a definitive diagnosis from a fine needle aspiration. The authors believe the majority of those patients did not receive an optimal evaluation.